My favorite Chilean legend is the Crooked Mouth or Boca Chueca. Legend has it that if you drink or eat something hot then immediately go outside into the cold, your mouth will be jerked to the side of your face and will be stuck. The opposite is also true where you can drink something cold and go outside into the hot sun. 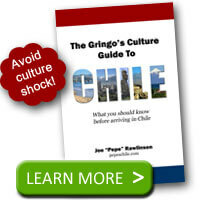 Are gringos affected by the Boca Chueca? On several occasions, we’d be drinking some hot herbal tea or some cold fruit juice. Upon finishing, we’d get up to leave and our host would stop us and say that we couldn’t go outside yet. We’d ask why and they would explain that we would get the boca chueca. When we were with friends we’d often run outside anyway, returning with our jaw and lips moved to the right side of our face pretending to have received the boca chueca. However with all joking aside, I never really got the boca chueca. Who really gets the Boca Chueca? After playing our little joke on our Chilean friends, they would always sternly warn us that the boca chueca wasn’t a laughing matter. They always knew someone that had a friend or family member that really did get the boca chueca. However, in my two years in Chile I never met anyone who actually had the boca chueca happen to them. Could it happen to you? I don’t know, but don’t say I didn’t warn you! 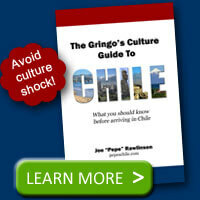 Chile’s legends help define the Chilean culture, learn more about Chile in the Gringo’s Culture Guide to Chile.